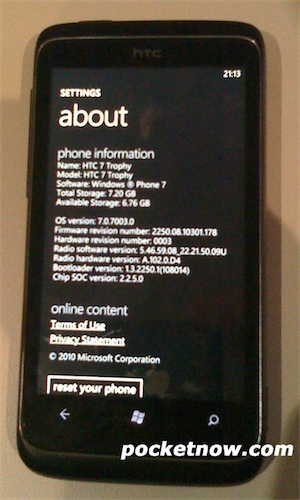 Two of HTC’s entries into the world of Windows Phone 7 have shown up on blogs, one in photographed form, the other as a diagram. PocketNow grabbed a photo of the HTC 7 Trophy, though we don’t know if that’s the final name, a code name, and if it’ll go into stores with that title or a different one — or even multiple ones by different carriers. 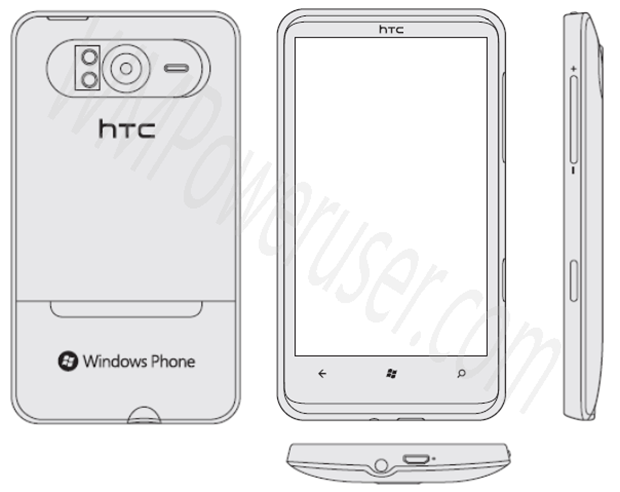 WMPU grabbed this schematic of the HTC HD7, which looks incredibly similar to the Trophy, the only obvious difference is that the Trophy has its USB slot on the side, where the HD7 has it on the bottom. Assuming these diagrams are accurate and current, and not from a previous iteration of the device.